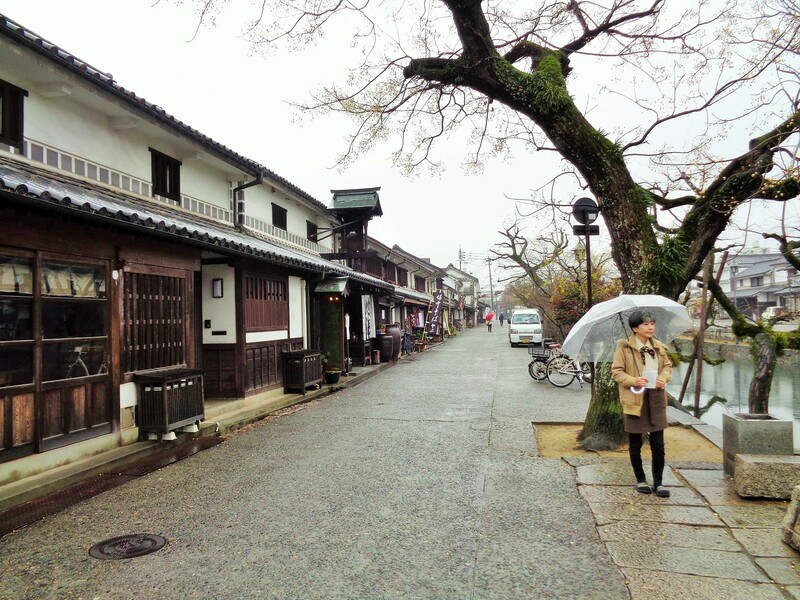 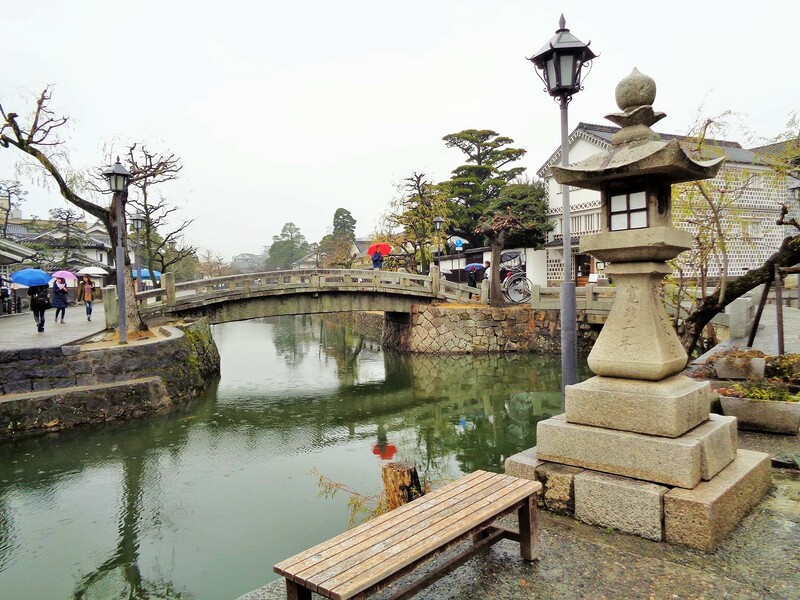 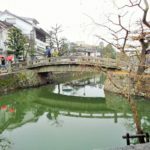 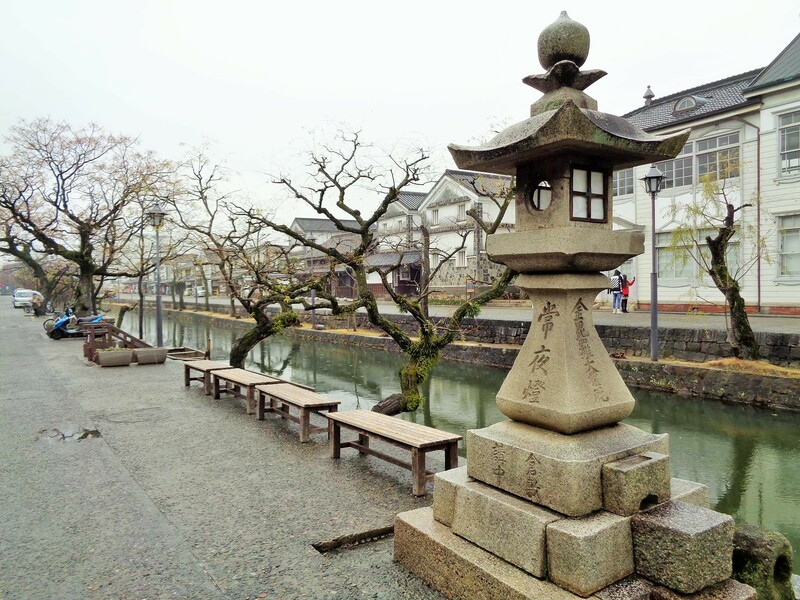 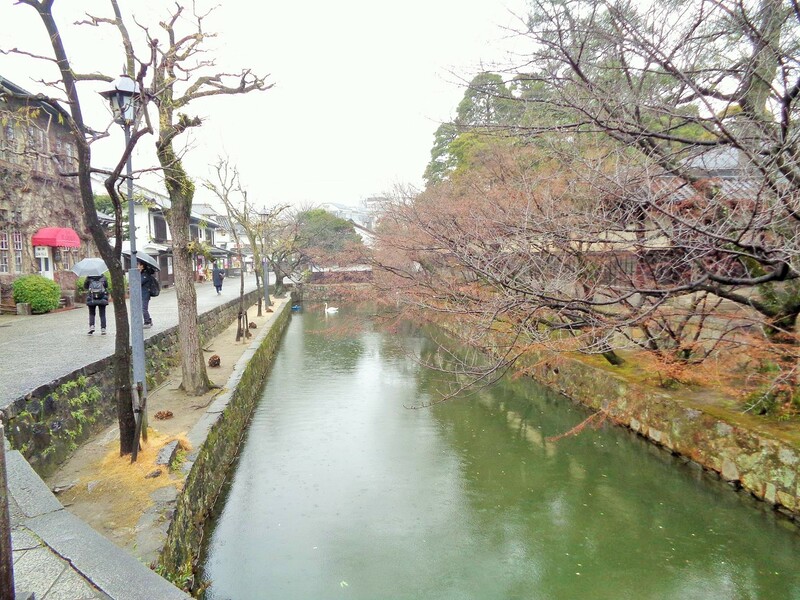 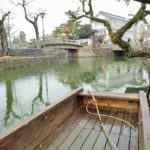 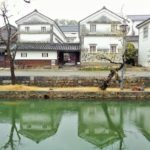 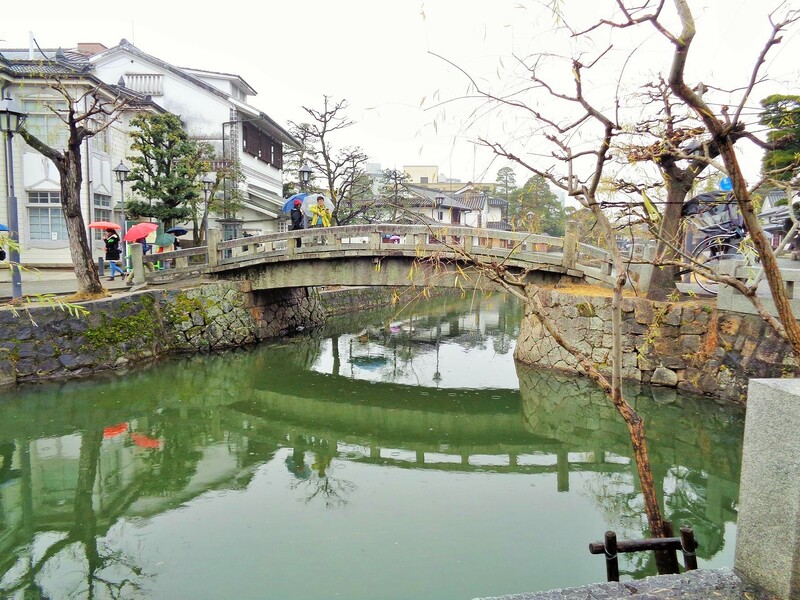 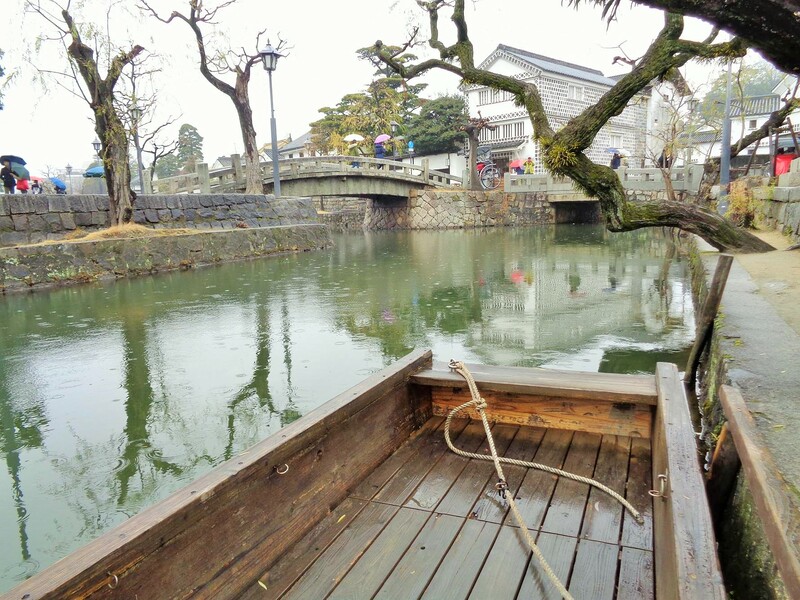 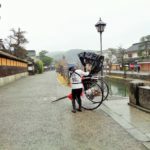 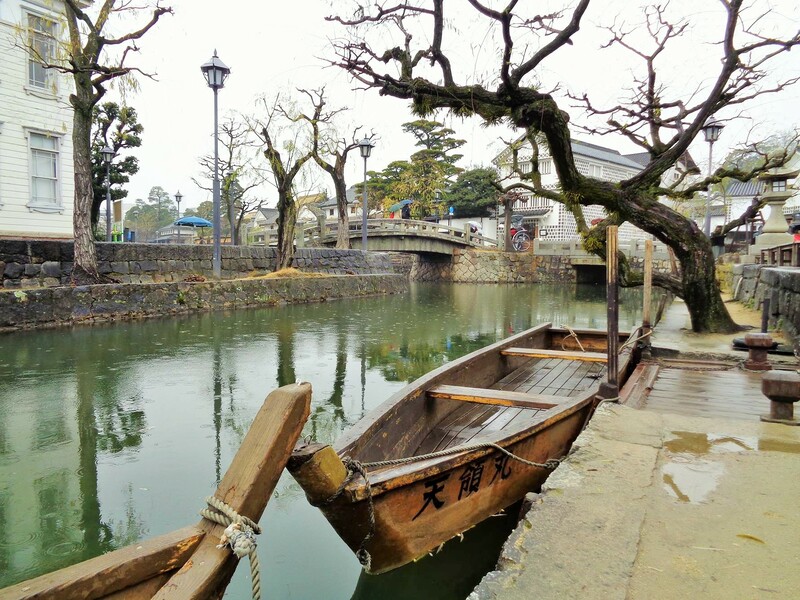 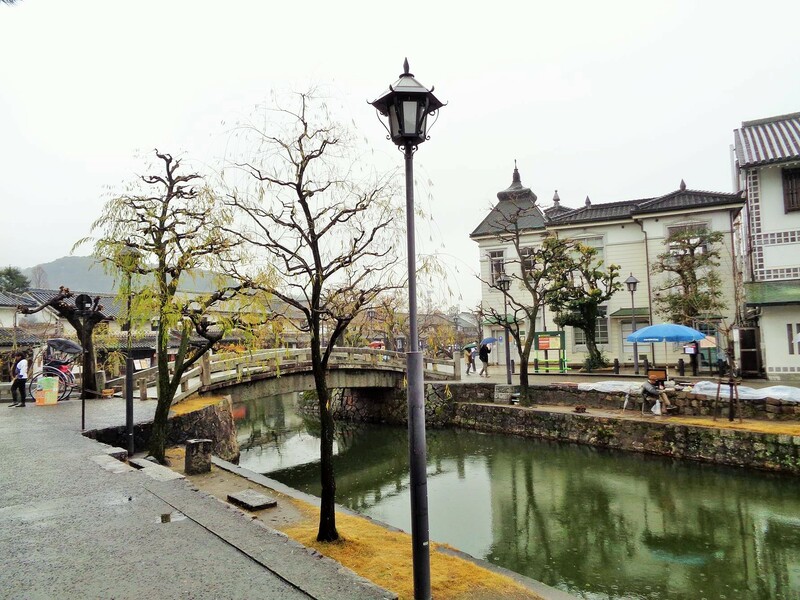 During our tour of Japan we made a stop in the historical-idyllic city of Kurashiki (Japanese 倉 敷 市, -shi). 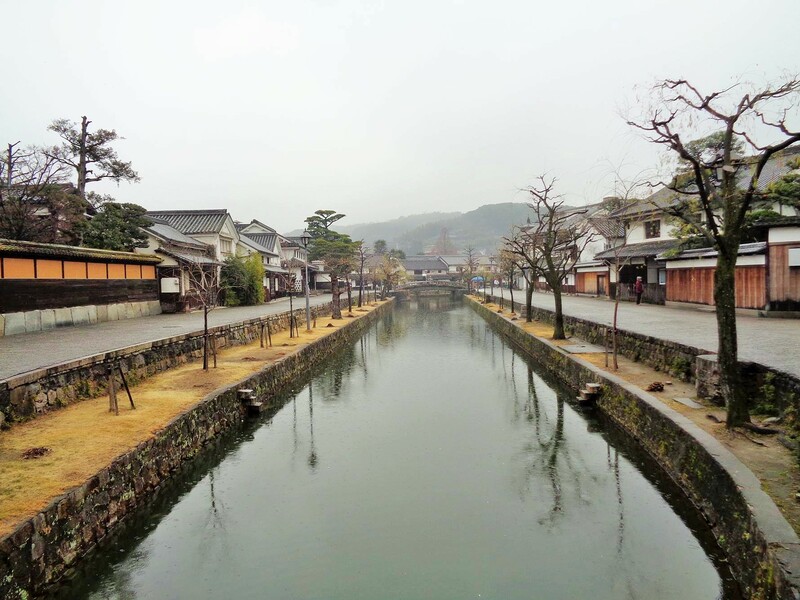 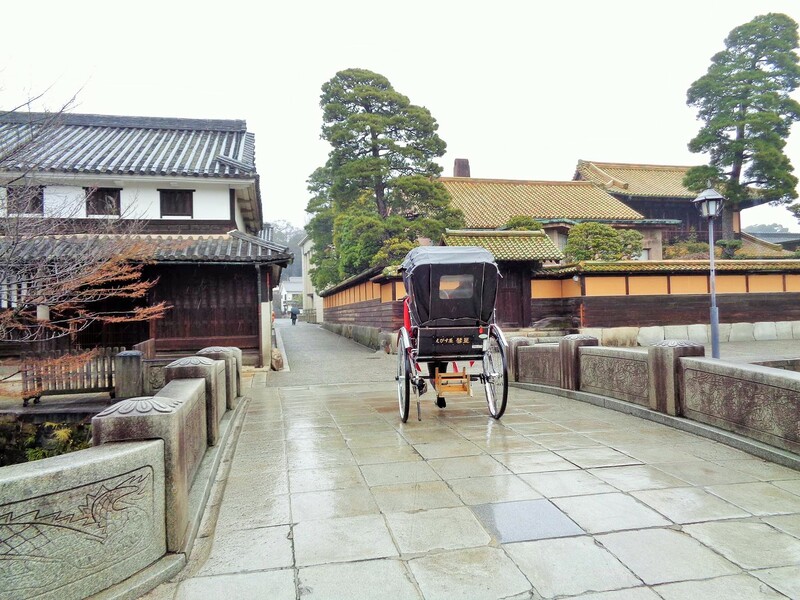 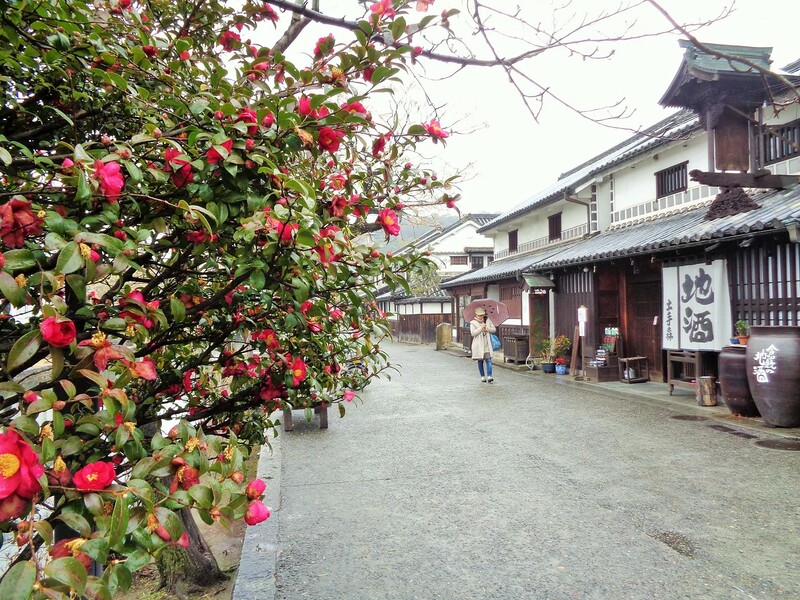 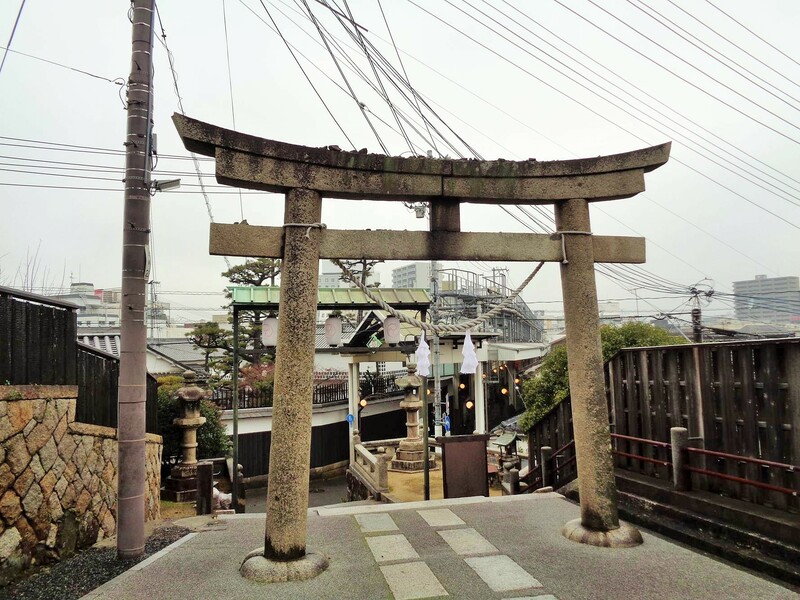 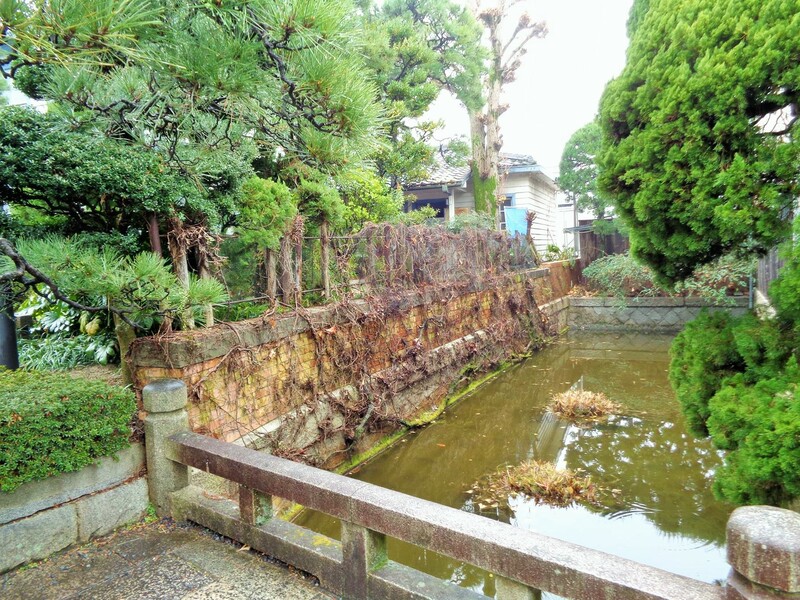 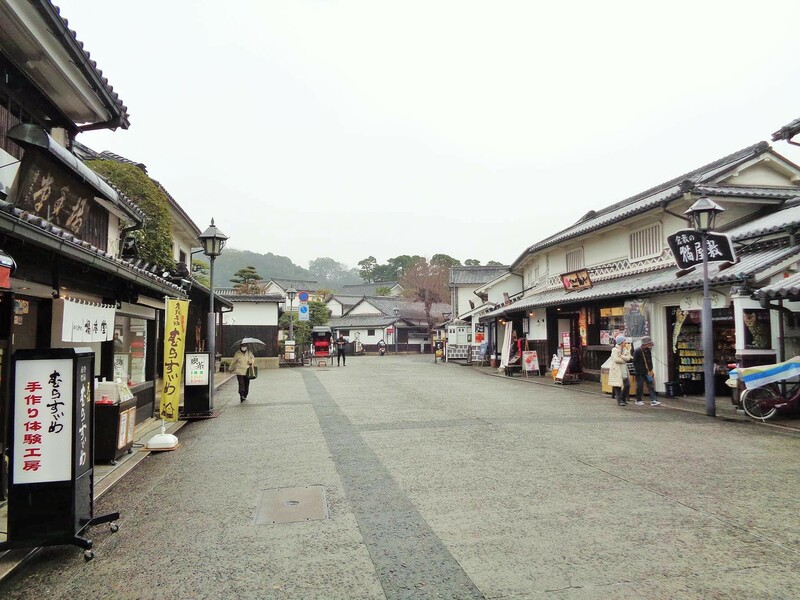 The Edo-era merchant town is located in Okayama prefecture and the former Bitchū province of Honshu, the main island of Japan. 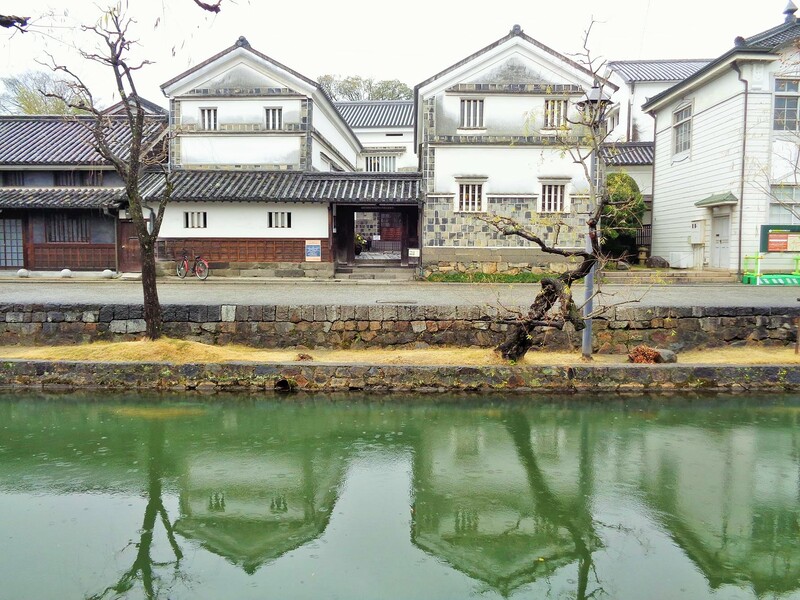 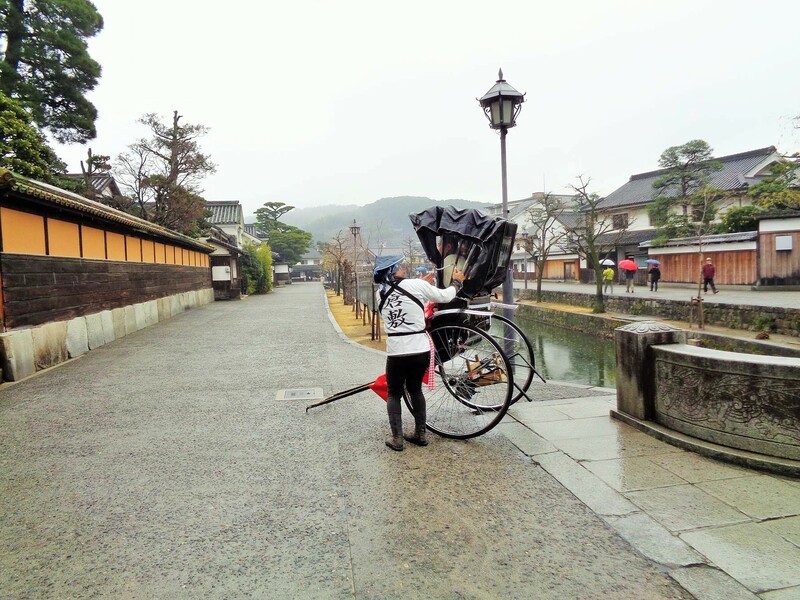 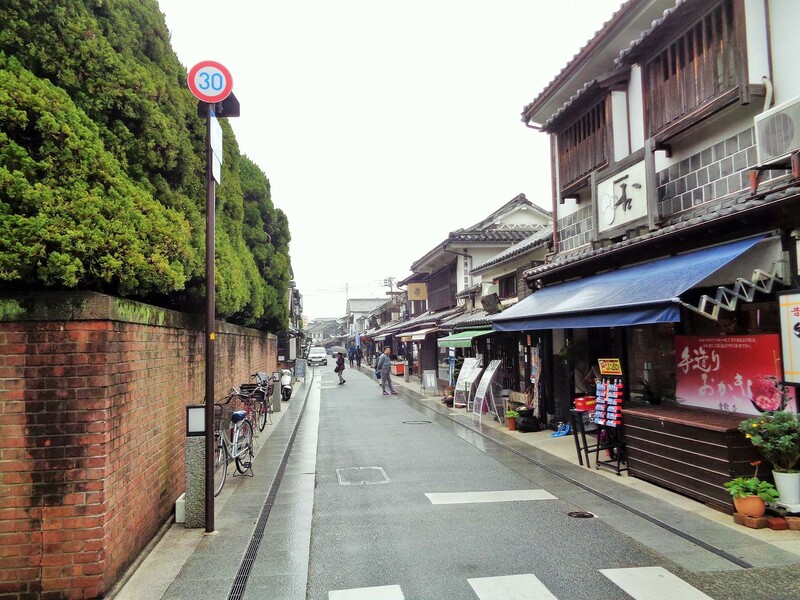 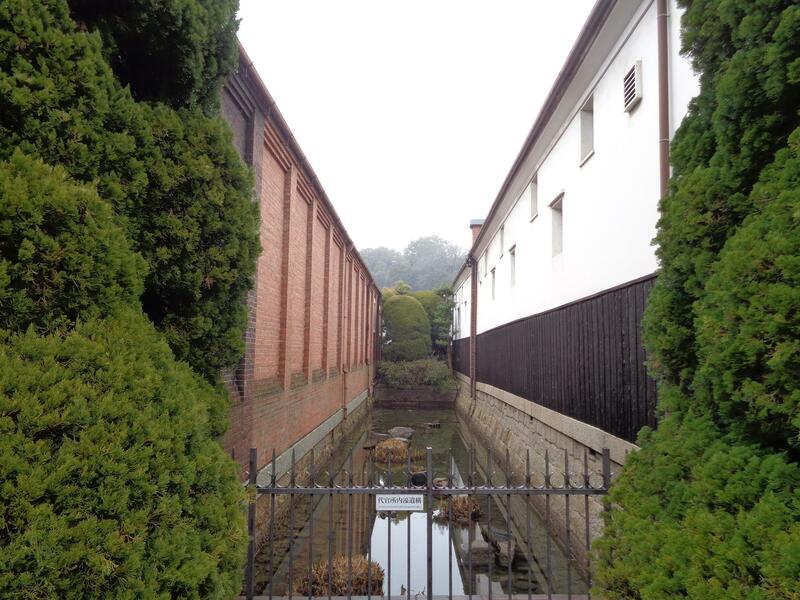 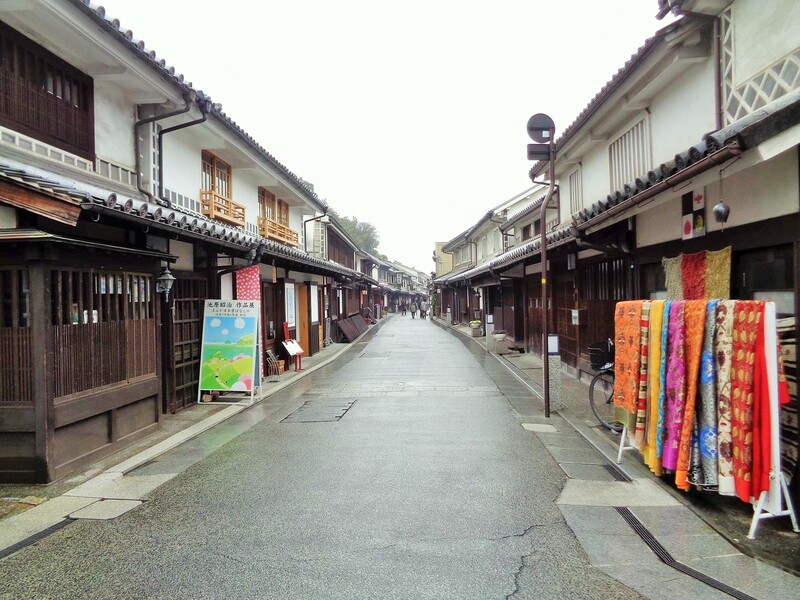 Kurashiki means something like “village from warehouses”. 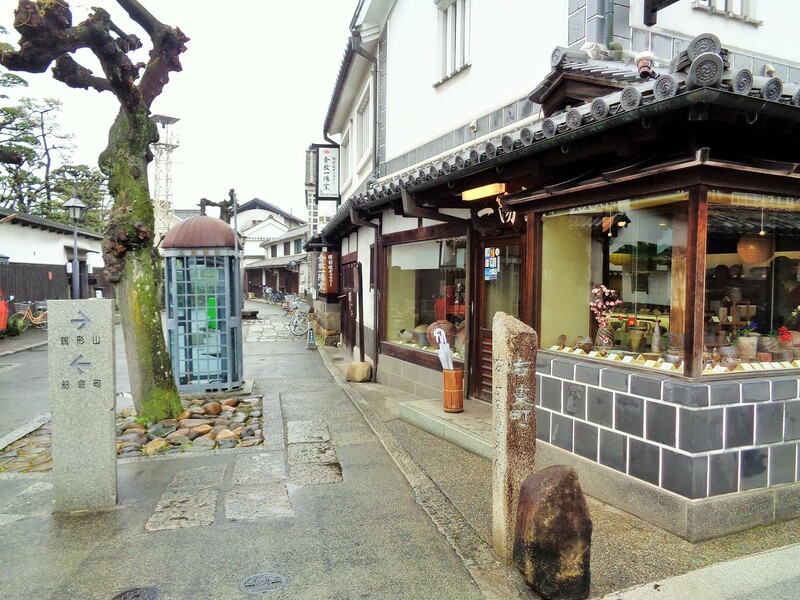 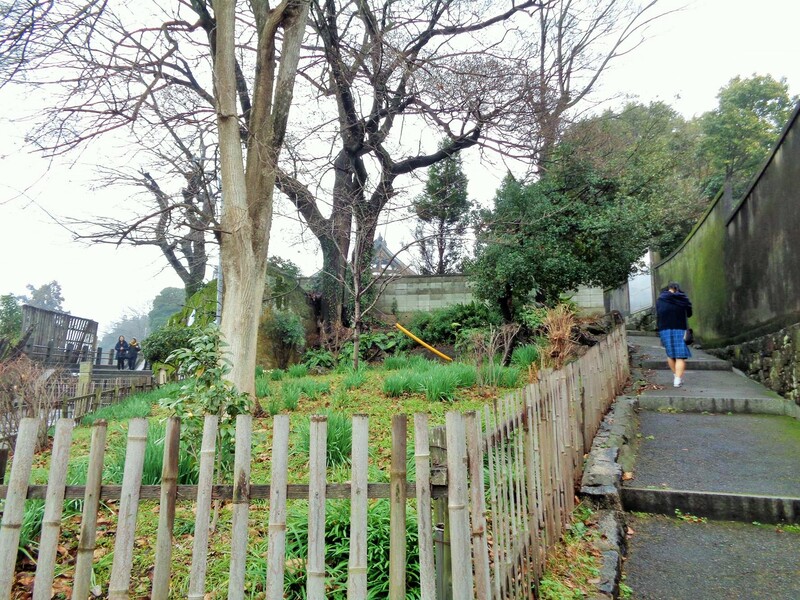 There are still dozens of buildings (Kura) preserved, which represent a symbol of the city due to their typical facades. 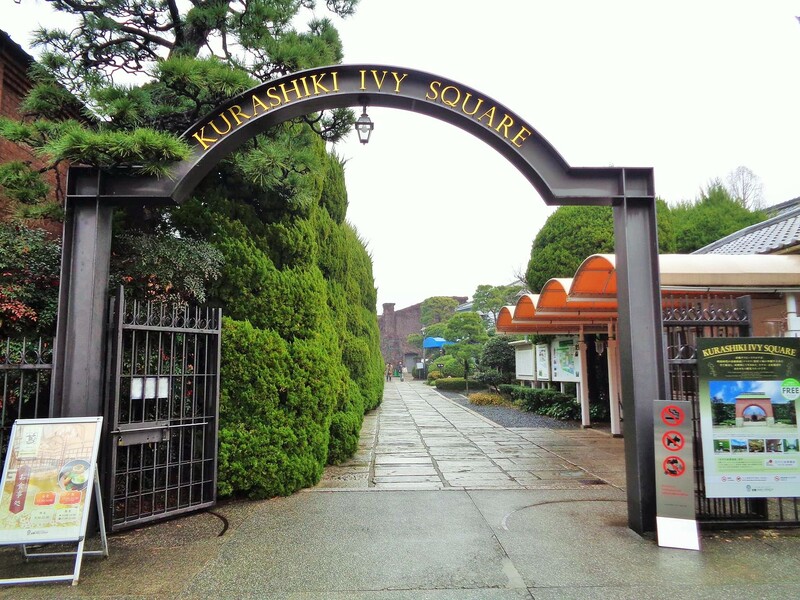 It’s worth a visit. 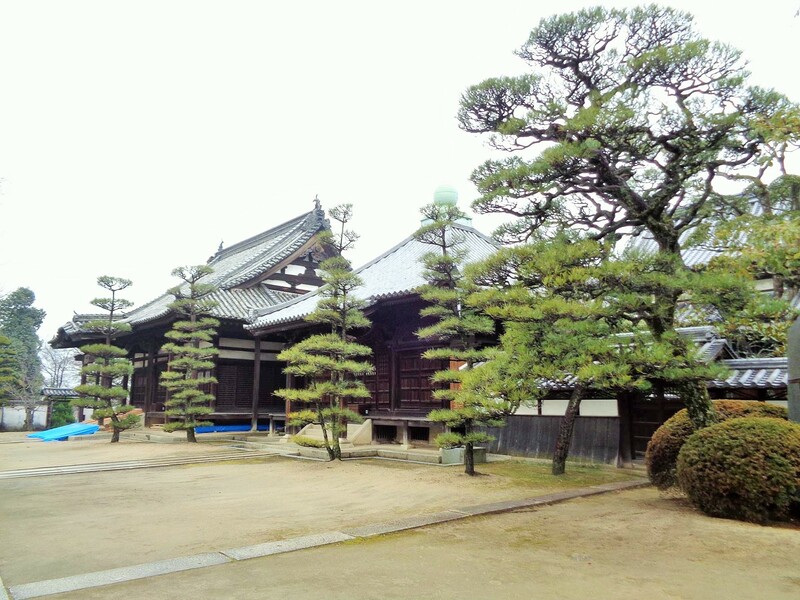 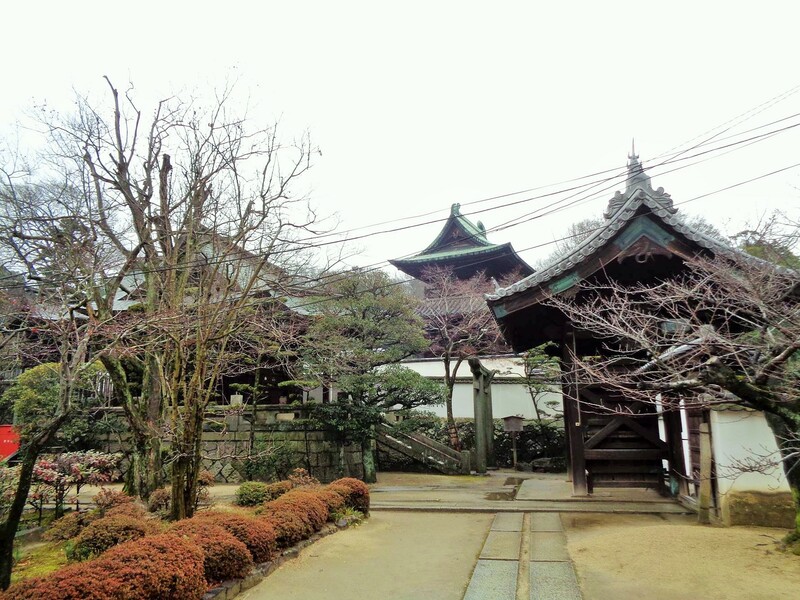 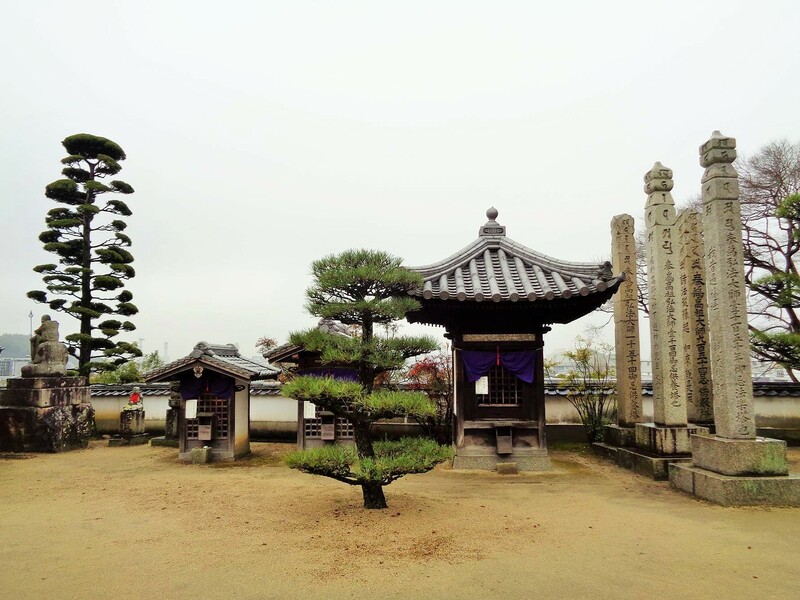 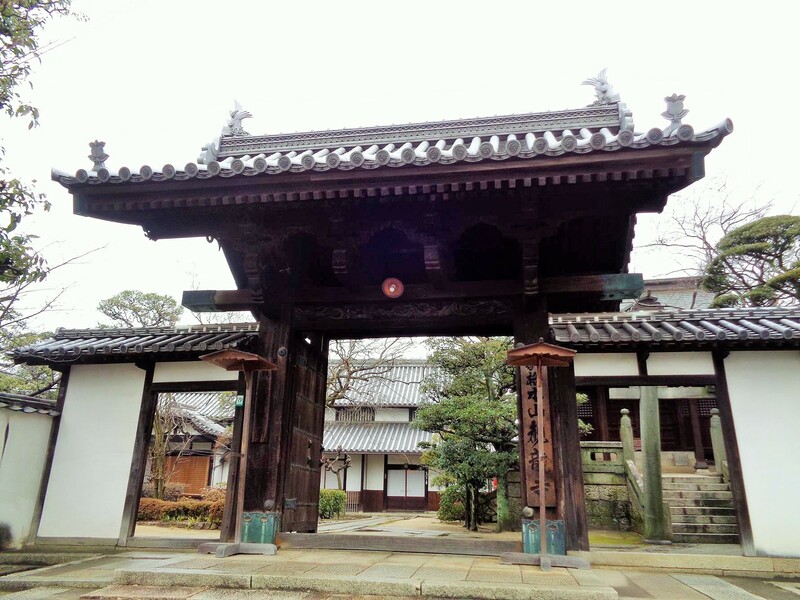 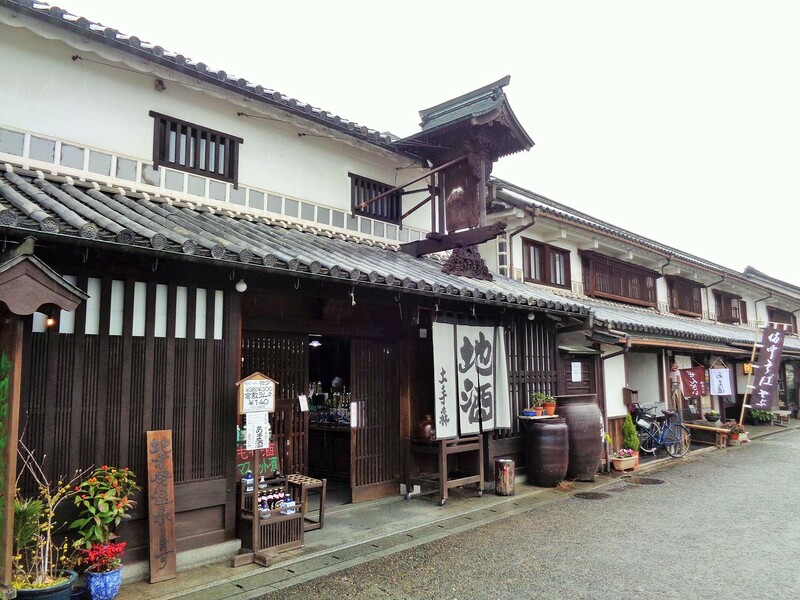 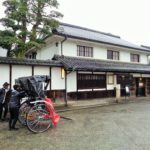 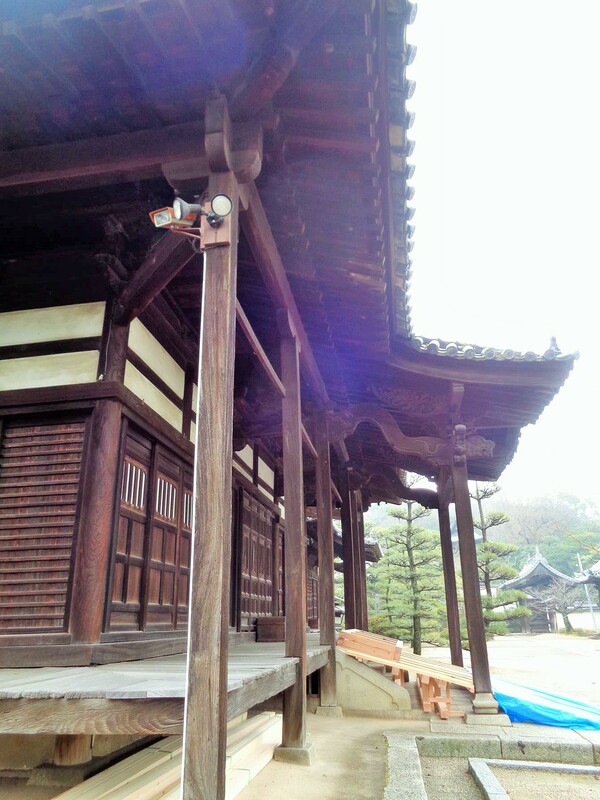 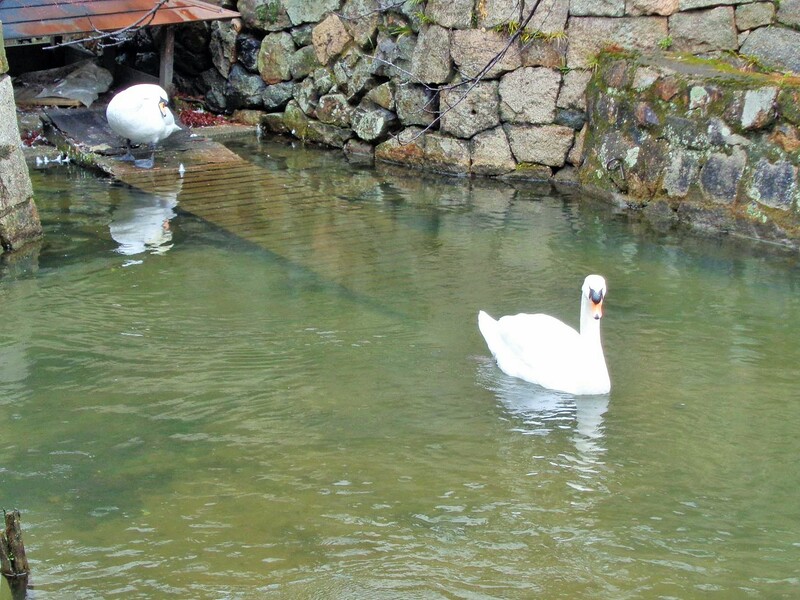 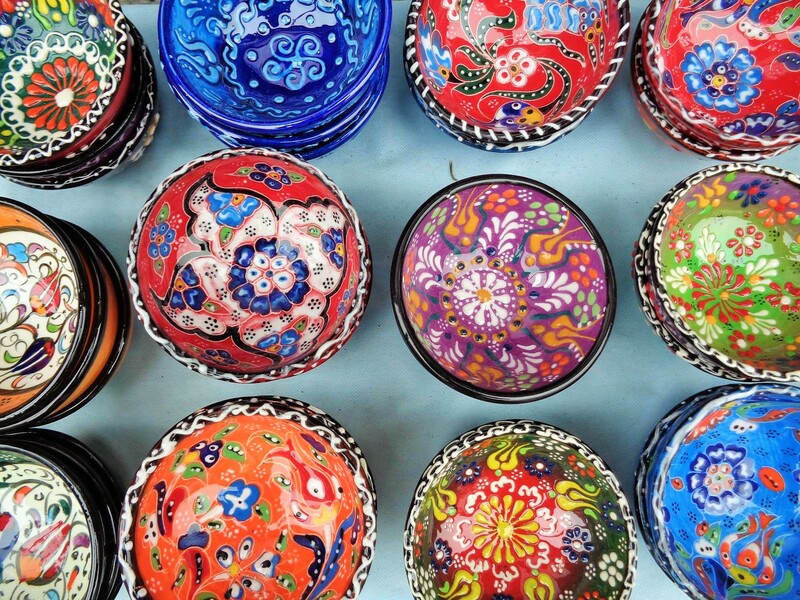 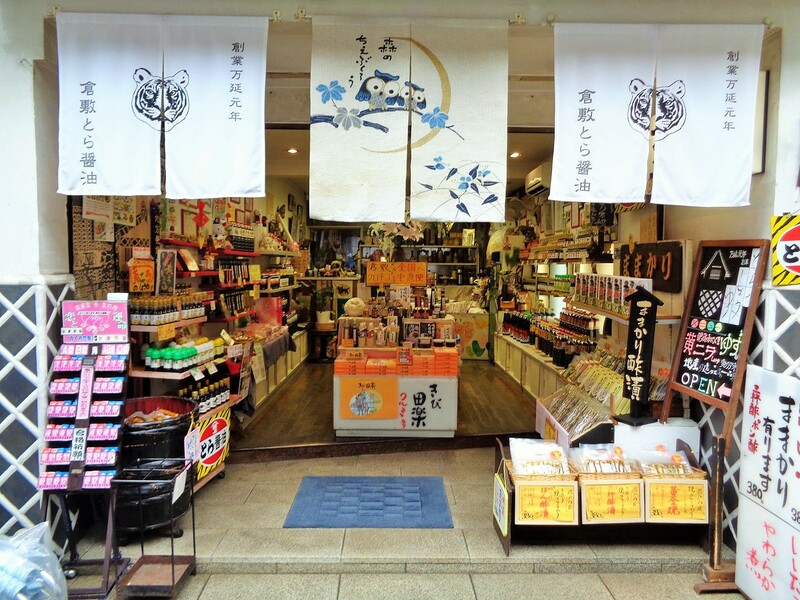 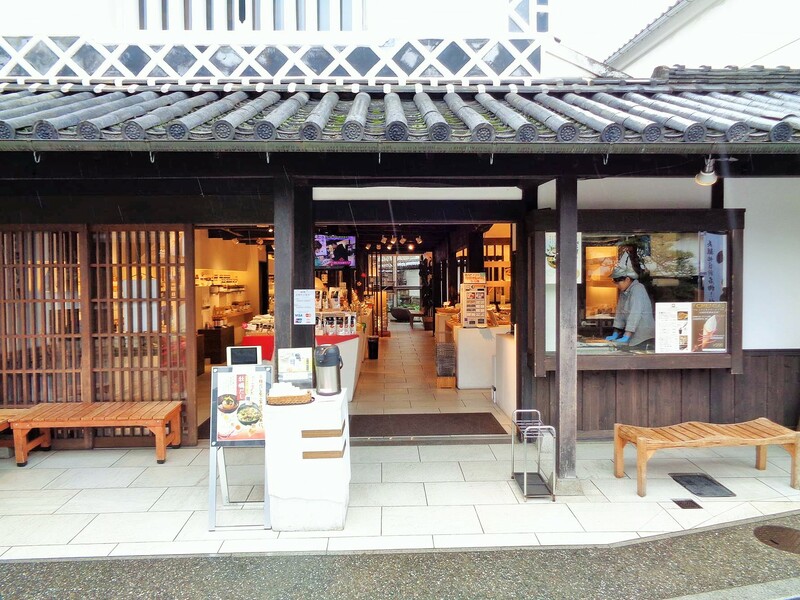 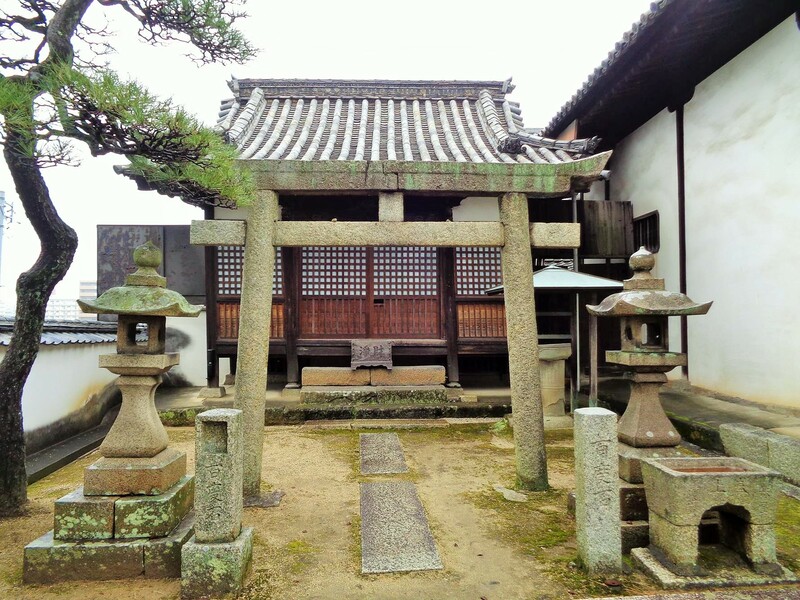 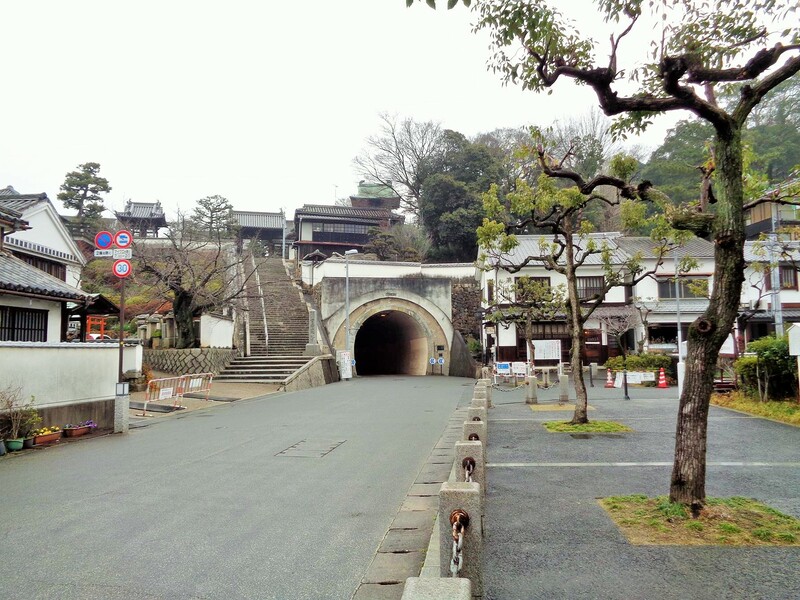 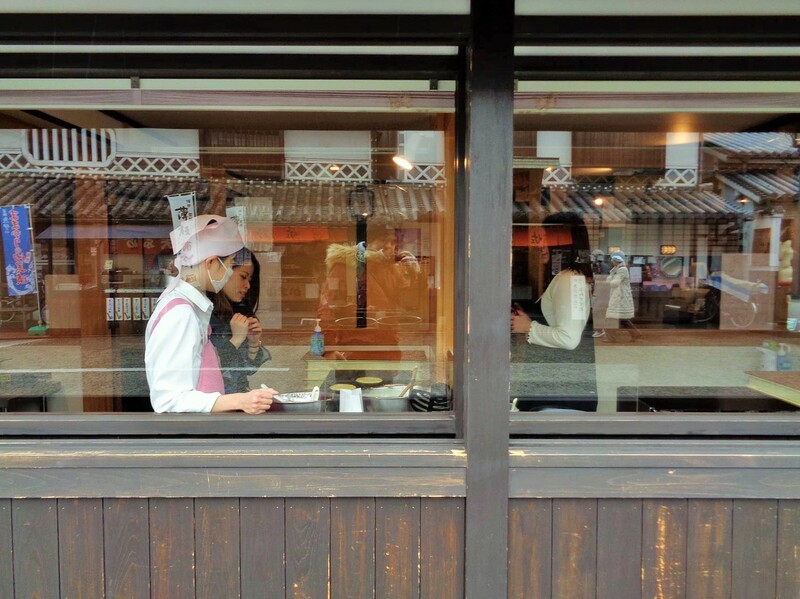 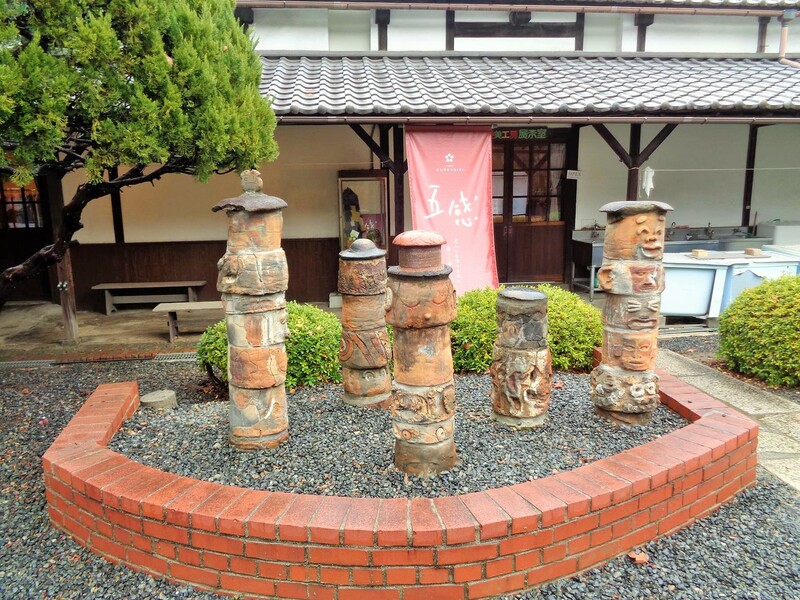 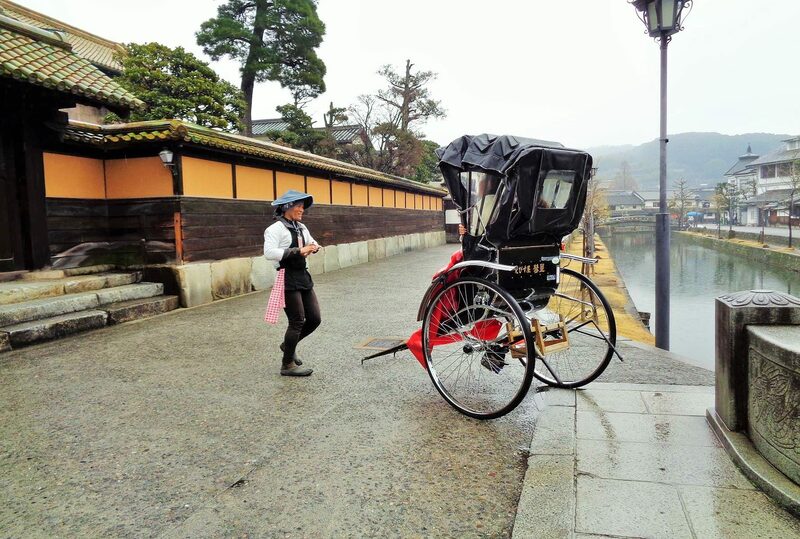 It is best to stay for a few days in the nearby Okayama and make a day trip by train to the cultural site. 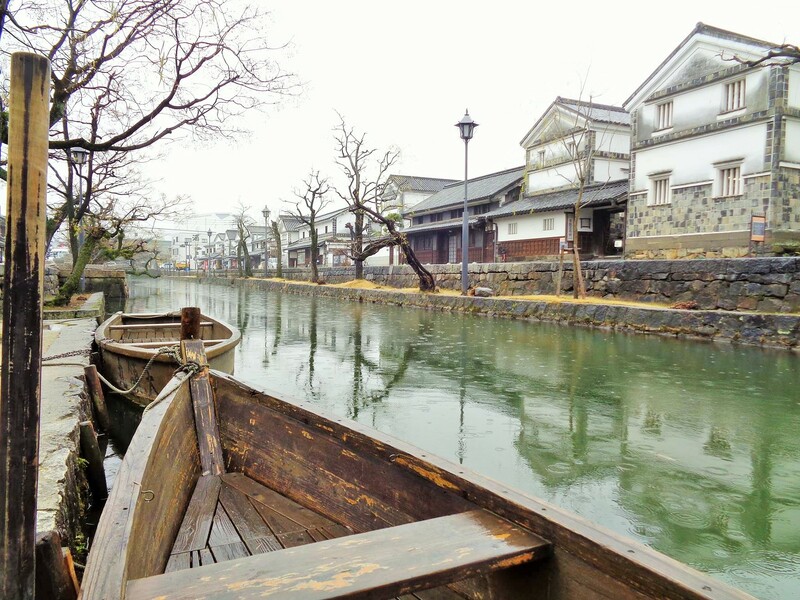 Kurashiki has 476,000 inhabitants in an area of ​​355 km ². 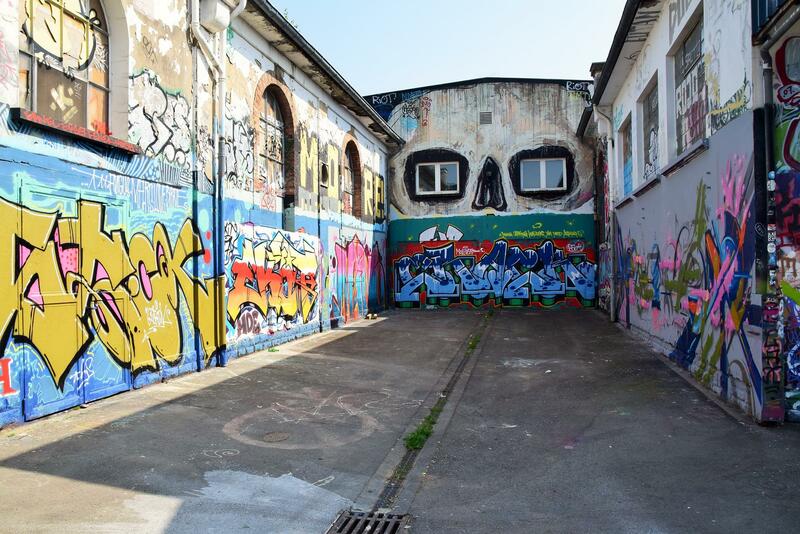 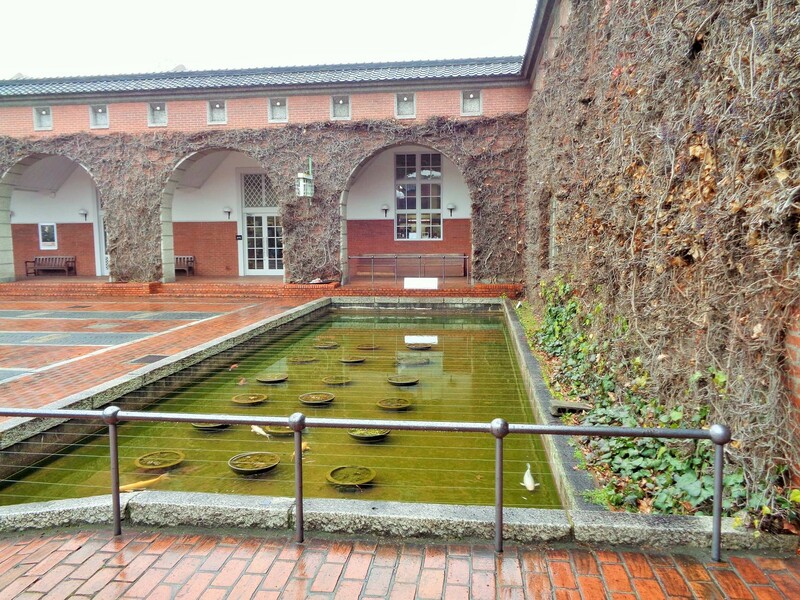 The most interesting for tourists and well-preserved part, but limited to the old town center in the center. 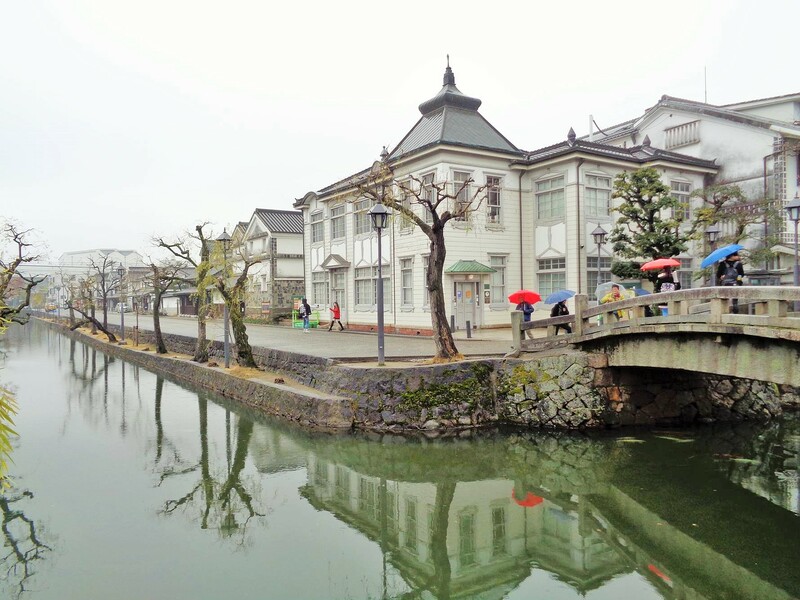 Important for the development of the city was the company Kurabo, which was founded in 1888 as a spinning mill under the name “Kurashiki Bosekisho” (倉 敷 紡 績 所). 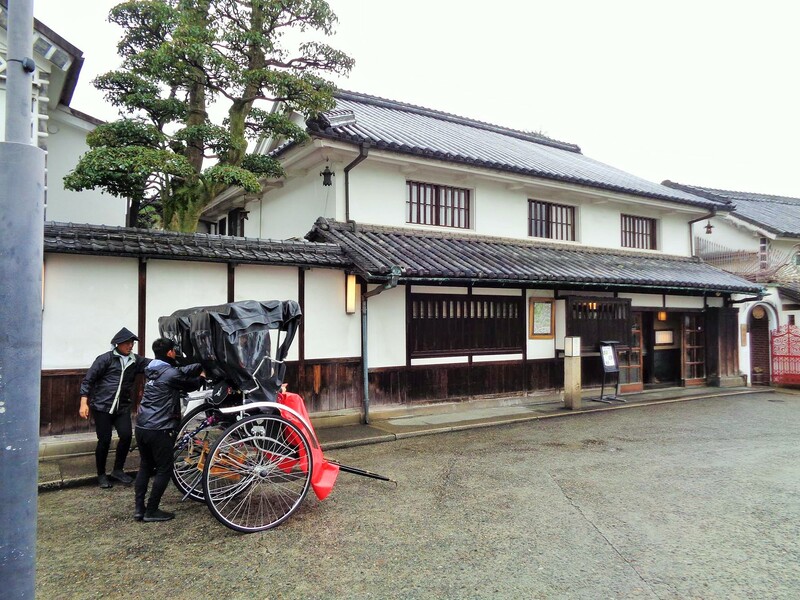 The first president was Ōhara Kōshirō (1833-1910), who built in 1889 one of the most modern spinning mills of the time, in the place where previously had the shogunate administration of Kurashiki their seat. 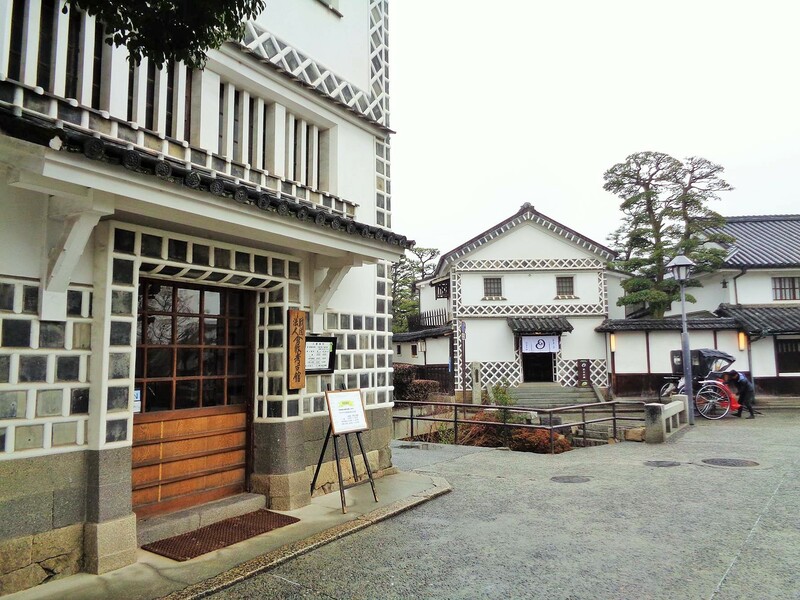 The Kurabo Memorial Hall was established in 1969 as one of the 80th anniversary projects since its inception. 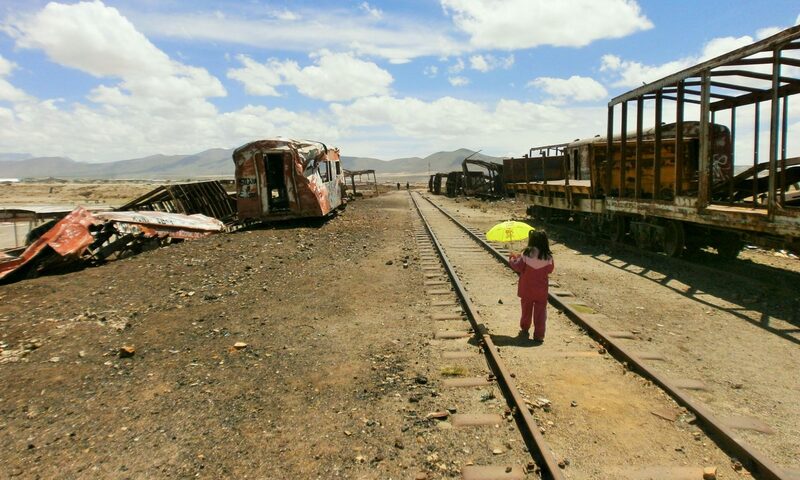 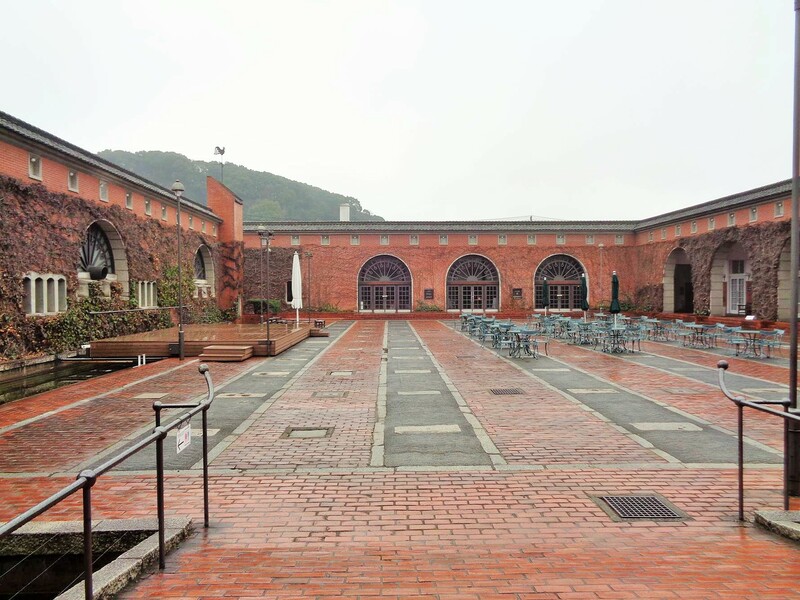 To do so, the factory site has been transformed into what is today known as Ivory Square. 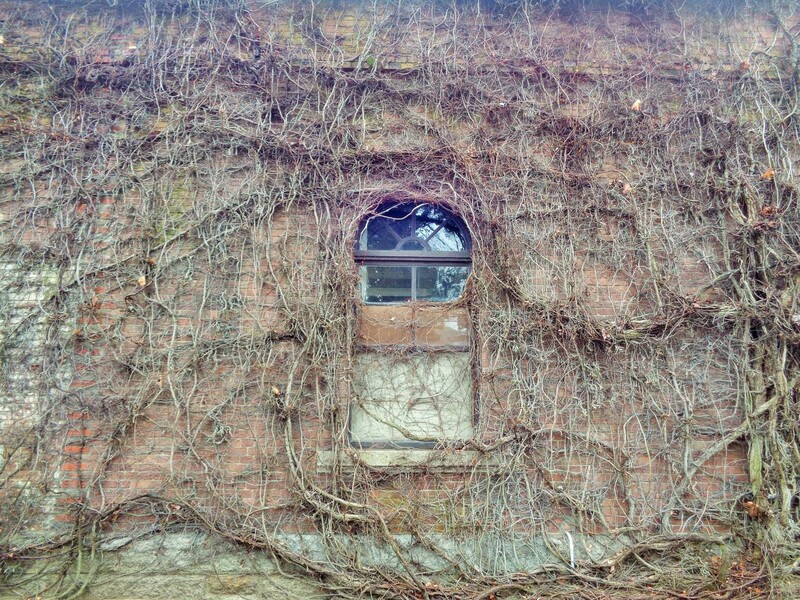 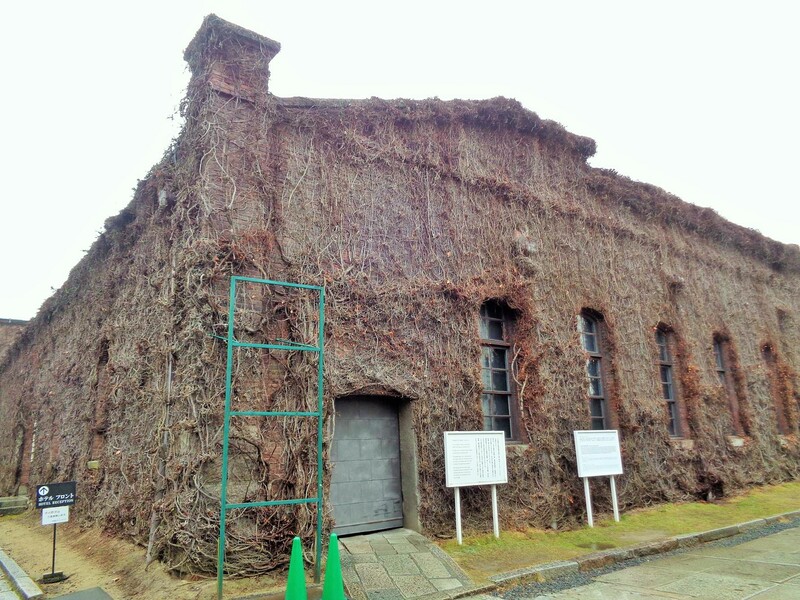 The cotton warehouse was converted into a memorial hall. 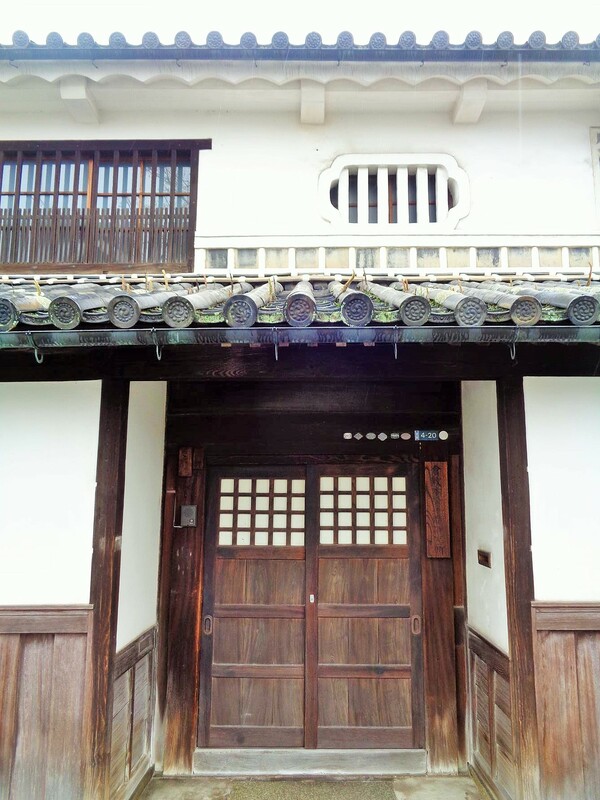 There, the development of the company is shown in various rooms on the basis of objects and boards to this day. 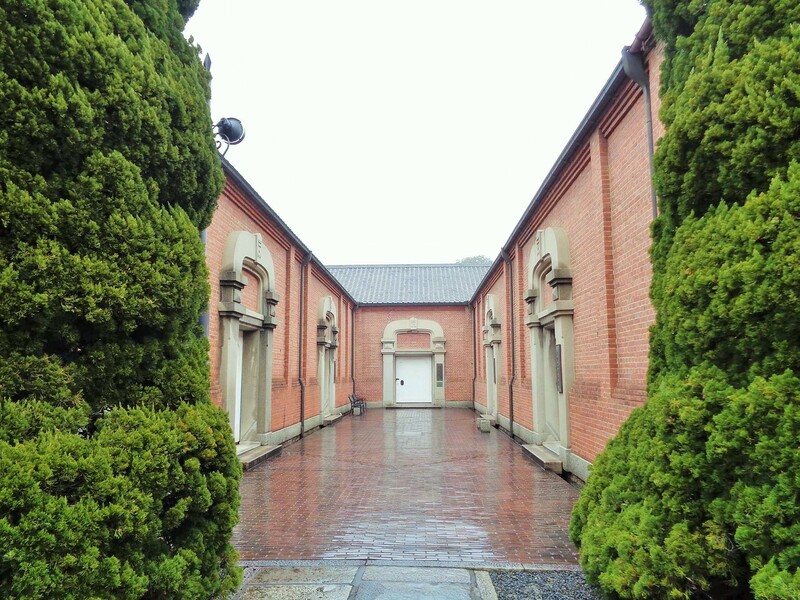 Even more significant is the Ōhara Art Museum, which founded Ōharas son Magosaburō (1880-1943). 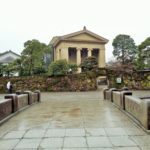 There are shown works of Western classical modernism by Matisse and Renoir, Degas, Gauguin or Picasso, but also Japanese modernism with artists such as Fujishima Takeji or Munakata Shikō. 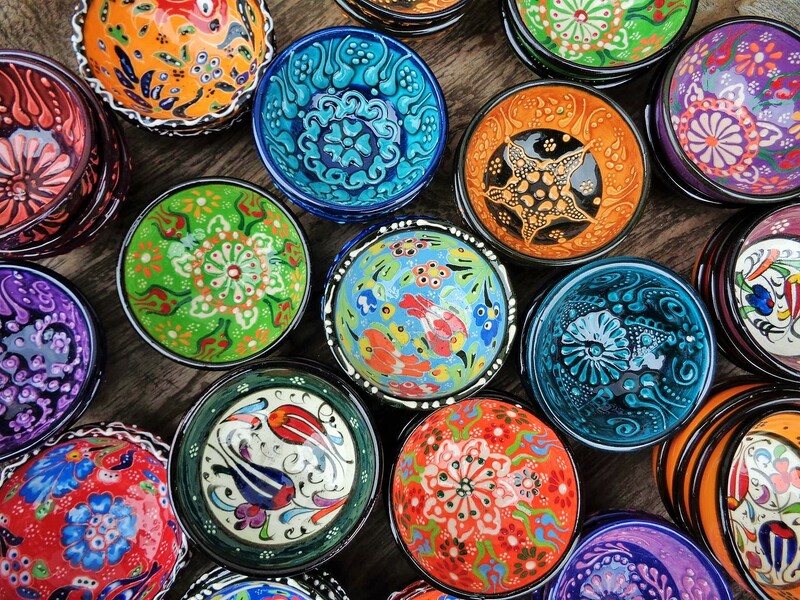 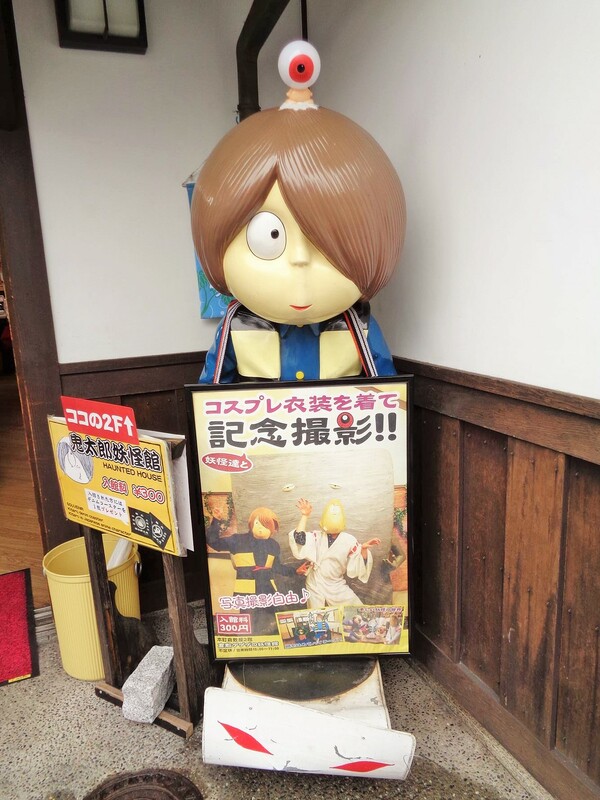 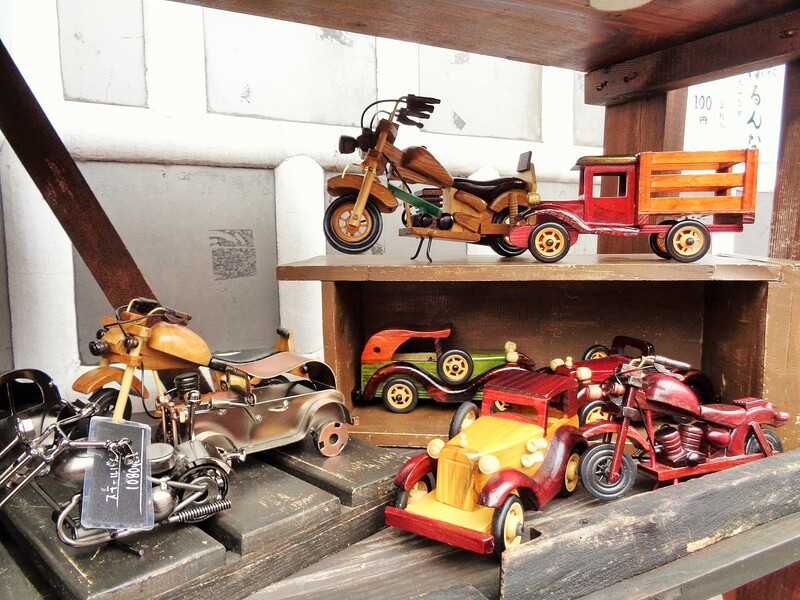 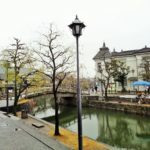 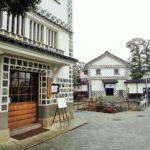 Other recommended museums include the Kurashiki Folk Art Museum, which features folk art exhibits, while the Japan Rural Toy Museum displays old toys from Japan but also from other parts of the world. 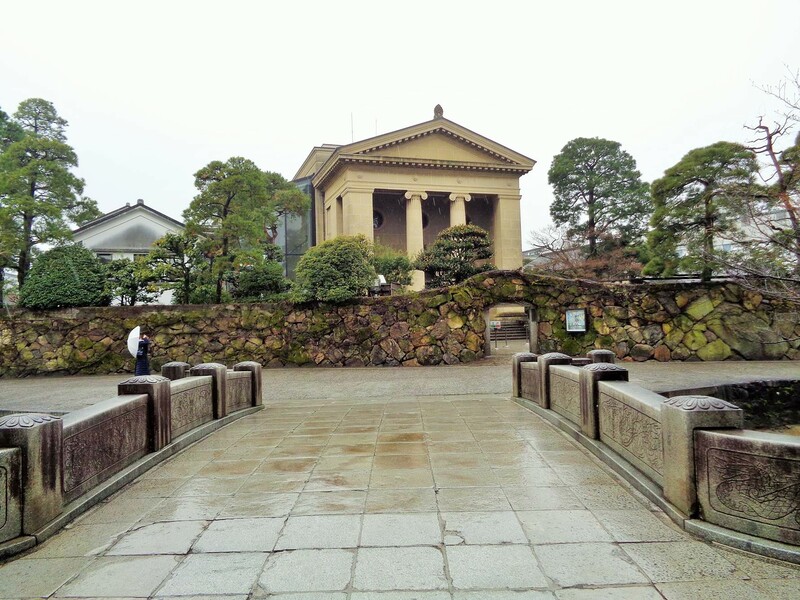 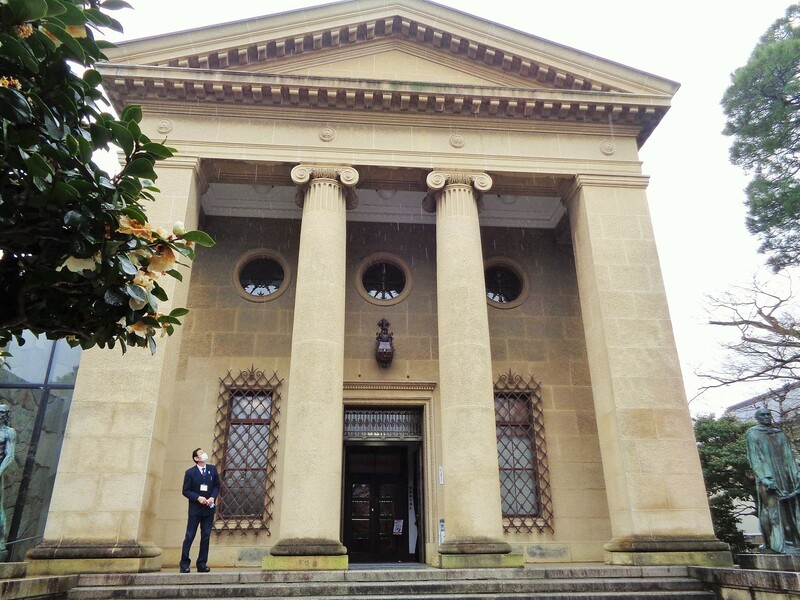 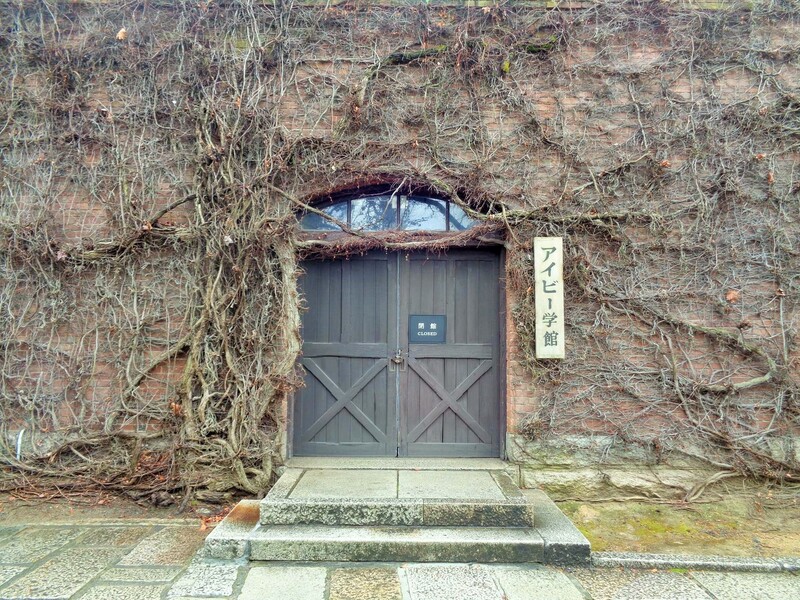 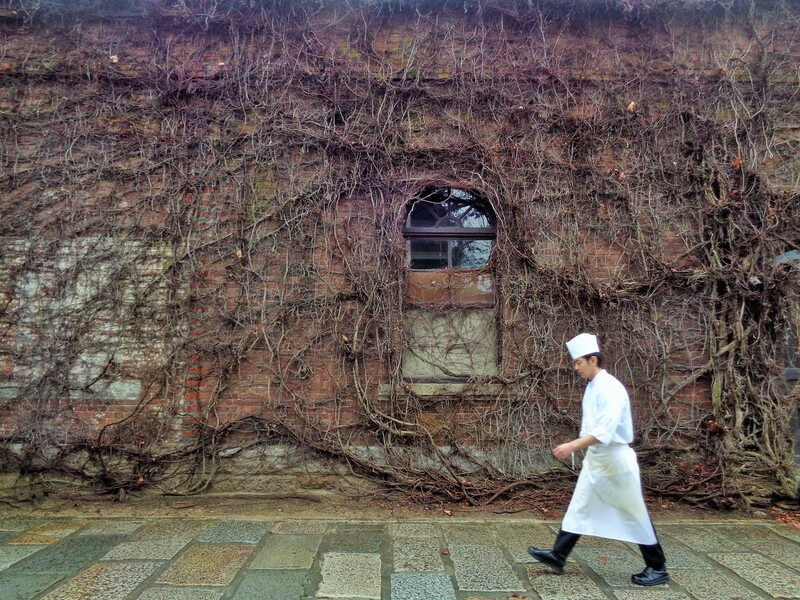 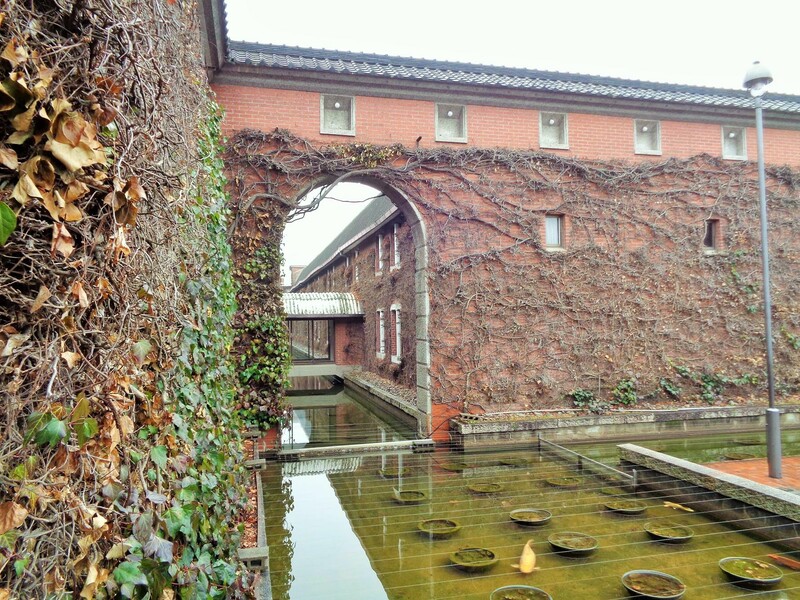 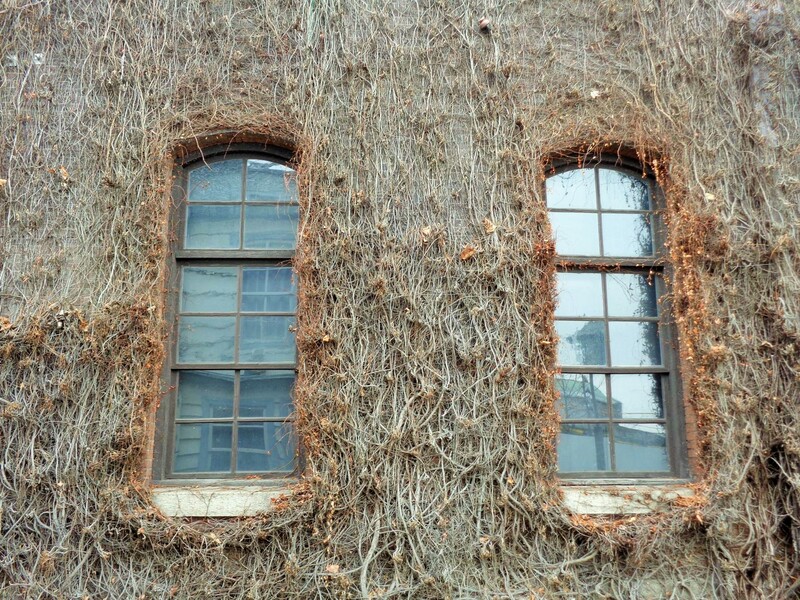 The Kurashiki Ninagawa Museum presented 2000 works of ancient European-Mediterranean art until its closure. 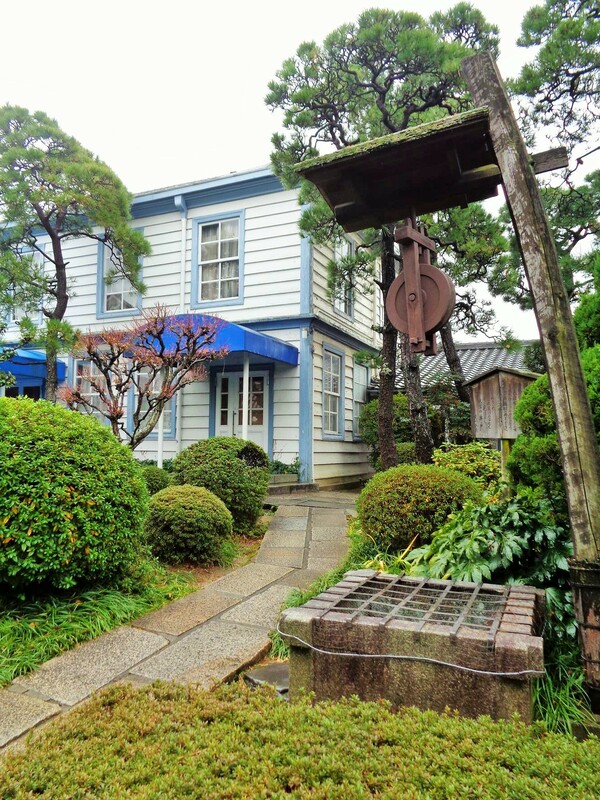 In 2003, the Kake Museum of Japanese and European Painting opened in its building.